KENYA–Kenya’s electoral agency IEBC’s Director of ICT Chris Musando who went missing on Friday is dead. Police on Monday said his body and that of an unidentified woman were found in Kikuyu Kiambu County, and taken to the City Mortuary. Attendants at the mortuary told The Nation that the two bodies were brought in on Sunday at 11pm. The bodies, they said, were brought in by police in their vehicle and Musando’s was booked as that of “an unknown adult”. Members of Musando’s family went to the mortuary and positively identified him. Many burst into tears, with attendants and friends having a hard time trying to calm them down. The bodies were found hours after Mr Musando’s vehicle was found behind Thika Road Mall, off the Thika Superhighway in Nairobi. Police said they found the grey Land Rover Discovery near the mall’s parking and towed it to Kasarani Police Station. Nairobi County Police Commander Japhet Koome said the vehicle was dusted for fingerprints early Monday morning. Musando’s family reported his disappearance at the Embakasi Police Station on Sunday. 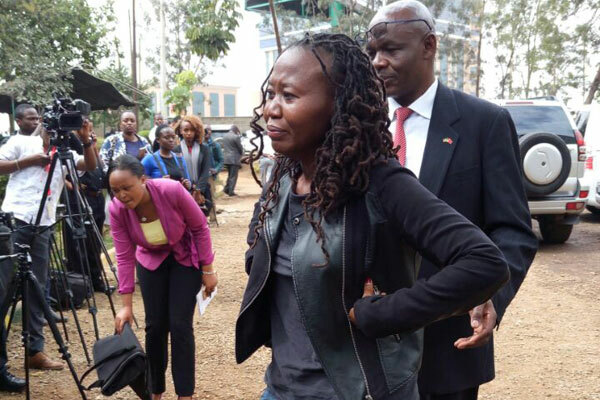 IEBC Chairman Wafula Chebukati and CEO Ezra Chiloba were among the commission’s top officials who rushed to the mortuary on getting the sad news.